All Imada instruments have special price incentives. Please phone us at 800-832-0055 for the best pricing on Imada gauges. 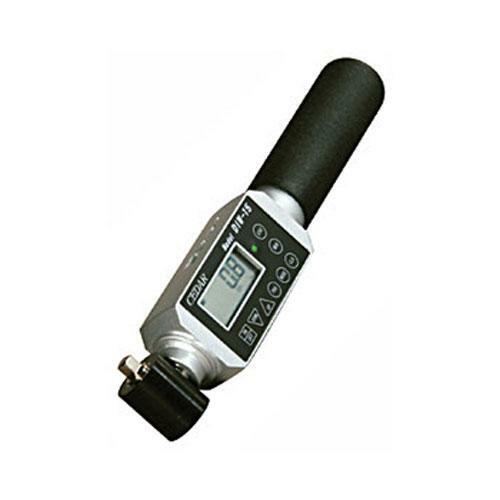 Models DIW-15 and DIW-20 are extremely lightweight digital torque wrenches that tighten or loosen bolts up to 180 lbf-in. The wrench head swivels 300° and can be used in tight places. You’ll get consistent readings no matter where or how the wrench is gripped because the torque sensor is centered on the drive and not up in the handle. 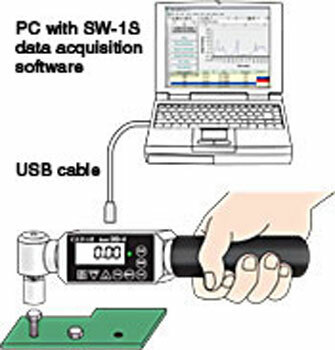 Torque controlled wrenches can be evaluated by comparative tests on sample fasteners. Both breakaway and loosen tests can be performed. Rugged enough to be used in production. The testers have an accuracy of ±0.5%, ± 1 LSD and offer a programmable setpoint for uniform tightening or Go/No Go testing. Peak and continuous data can be downloaded via the USB port.